The 3/4" flagpole bracket is only available with a lacquered polished brass finish and has overall dimensions of 1-15/16" x 4-3/4". 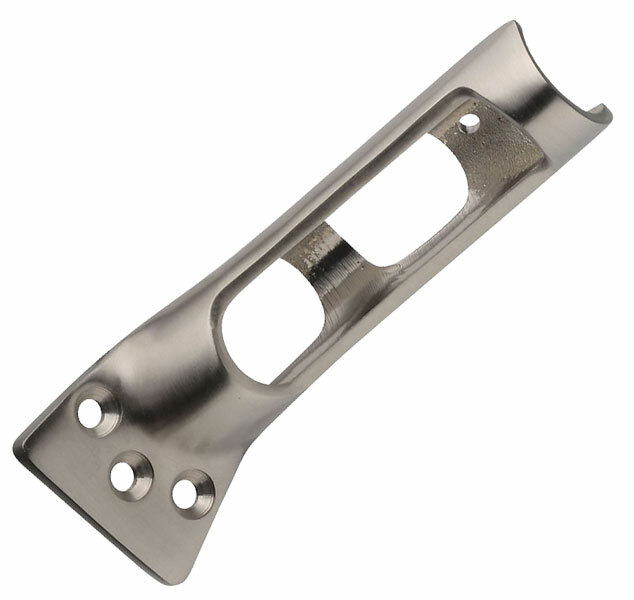 The 1" flagpole bracket is available in satin nickel, pewter, antique bronze, and chrome, as well as a lacquered polished brass finish, and has overall dimensions of 2-3/8" x 6-1/8". The clear lacquer finish helps retain the original polished brass appearance. 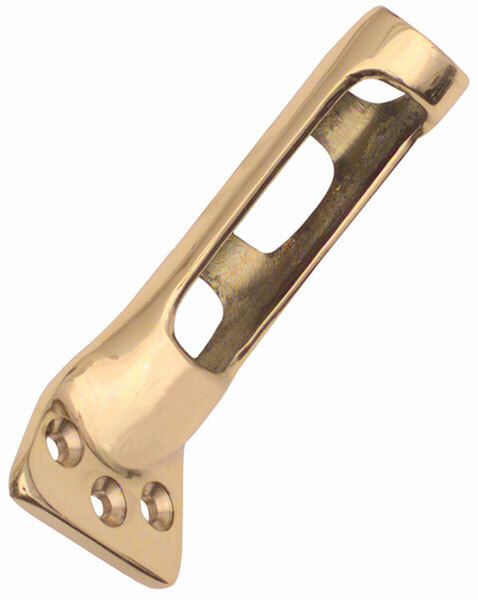 The 3/4" flagpole brackets are supplied with 3- #14 x 2" solid brass Phillips flat head tapping screws, and the 1" flagpole brackets include 3- #14 x 1-1/2" steel Phillips flat head tapping screws with a matching finish. 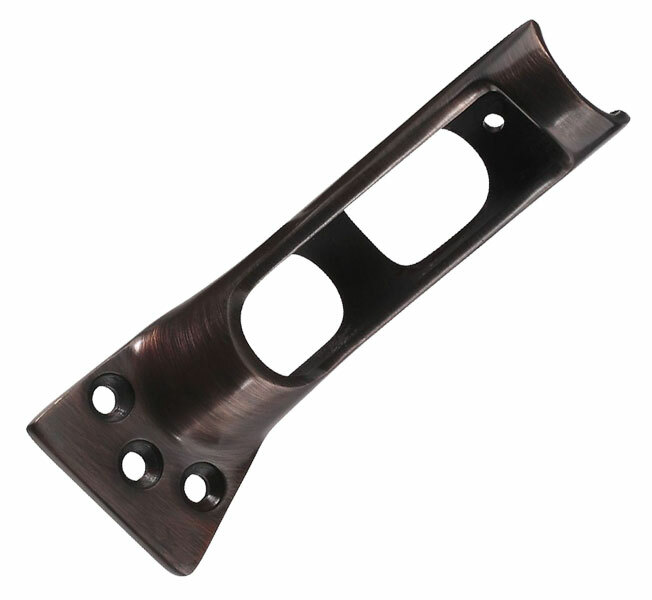 The 3/4" flagpole brackets are made in Taiwan, and the 1" flagpole brackets are made in China.